Is Fall the Best Time to Install Louvers? Many people don’t realize that fall is a great season for construction jobs and that includes building new louvers. When we think of the ideal seasons to start a construction project, we tend to think of summer and spring. This is likely because we spend more time outside and start to see the potential our property has. We also tend to think that there is no way construction jobs can get done in the fall or winter as those are some of the busiest times in our lives, with school years starting and months packed with holidays. The reality is that fall is actually one of the best times to install louvers and it can offer a lot of benefits. Most construction services begin to get busy during the spring and summer. That’s why their time suddenly becomes more valuable—they have plenty of work and need to make time for you. If you’re able to snag someone during the fall, however, it’s much easier for them to get the job done in a timely fashion and make sure you’re getting the quality of work you really want. In essence, you can expect more out of your contractor during the fall seasons because they have more free time to get the job done right. Let’s face it: very few things get done during the holiday season. It’s one of the busiest times of the year and it’s hard to be productive. However, installing louvers beforehand can give your business that sense of change and rejuvenation that can last into the winter and keep people feeling fresh and productive. No company wants to succumb to sluggish, unproductive winter days, but installing louvers can be the first step in continued momentum that will last you into the next year. We tend to think of summer as being the ideal time for construction because hey, it’s hot outside already, why not take that time to get yourself wrapped up in some building? The truth is, it’s much easier to get construction done in mild weather as the outdoor temperature allows builders to work without getting overheated and having to take longer breaks. 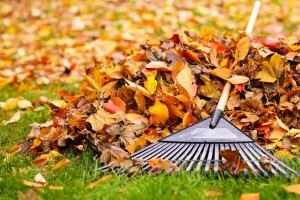 Fall is a great time for any building job, but especially for louvers! This entry was posted on Friday, October 19th, 2018	at 3:42 pm	. You can follow any responses to this entry through the RSS 2.0 feed. Both comments and pings are currently closed.